Will someone spoil the surprise? Will I remember to pack him underwear? All these questions and more swirled through my head a couple weeks ago as I prepared to “hubbynap” Mr. Smitten from work, with the help of my brother- and sister-in-law and two of our very best friends. For months, the five of us had been plotting Mr. Smitten a surprise 30th birthday celebration in San Jose del Cabo, Mexico, and the anticipation of pulling off the unexpected vacay was killing me—and possibly giving me my first grey hair. Our day-to-day tends to be fairly routine in Minnesota, so showing up unannounced to Mr. Smitten at his work and whisking him to the airport? After nearly a decade of adventures together, this was unexplored territory. A last frontier, friends. In the end, we managed to pull off the surprise in epic fashion, and I’ve been looking forward to sharing some of the details on the Smitten blog ever since. Naturally, I’m starting with one of my favorite days: deep sea fishing. Our group beat the sun up on Dec. 15—which happened to be the birthday of one of our friends traveling with us (Mr. Smitten’s was a few days later)—to catch a cab to the marina in La Playita. We had chartered a boat, and our guide Carlos was expecting us by 6 a.m. 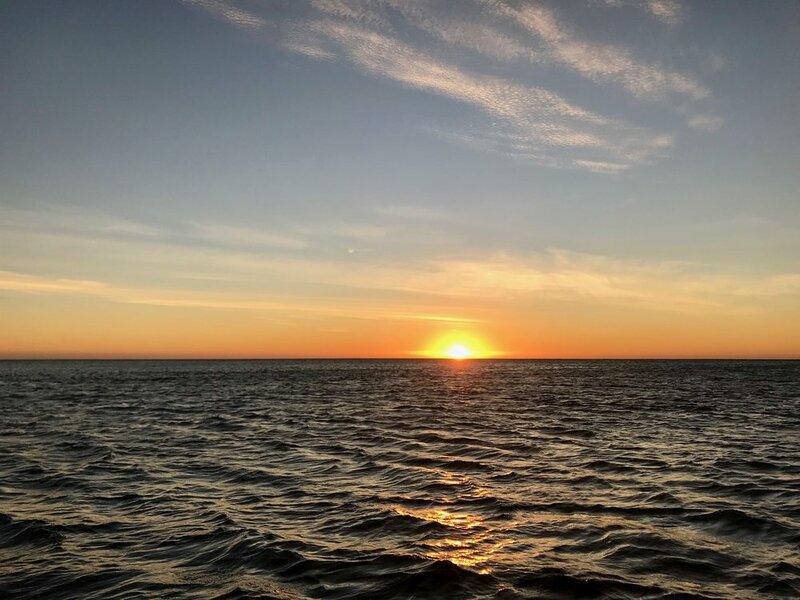 I wasn’t thrilled about waking up before dawn on vacation, but I’m so thankful I did: A cotton-candy sky high-fived us as we motored out from the marina, bobbing along in the Pacific with bait, rods and reels. Carlos explained to us that because it was windy, we wouldn’t be able to go very far from shore and search for marlin, mahi mahi or some of the other coveted fish many visitors specifically come to Cabo to hook. Instead, we would stay closer to land where we’d likely see more action catching smaller species. After just a few minutes of trolling, C—the birthday boy—reeled in our first fish of the day: a rooster. This slightly intimidating, slightly beautiful sea critter calls the warmer waters of the Pacific home all the way from Cabo down to Peru. They aren’t huge in comparison to some other kinds of fish, but to get the one I caught into the boat I had to brace my feet against the floor and ignore the burning in my right arm. Thankfully, Carlos took pity on me and didn’t make me hold my catch by myself like everyone else; I think he could sense I surely would have dropped it and sent everyone chasing its flopping body around the boat. Cast after cast, we reeled in rooster after rooster. In just a few hours, Carlos pointed us back toward the marina: “We’ve caught our limit,” he told us. Once back on dry land, Carlos filleted our fish while one of the locals—the sweetest-looking sea lion—waited to snack on the leftovers. 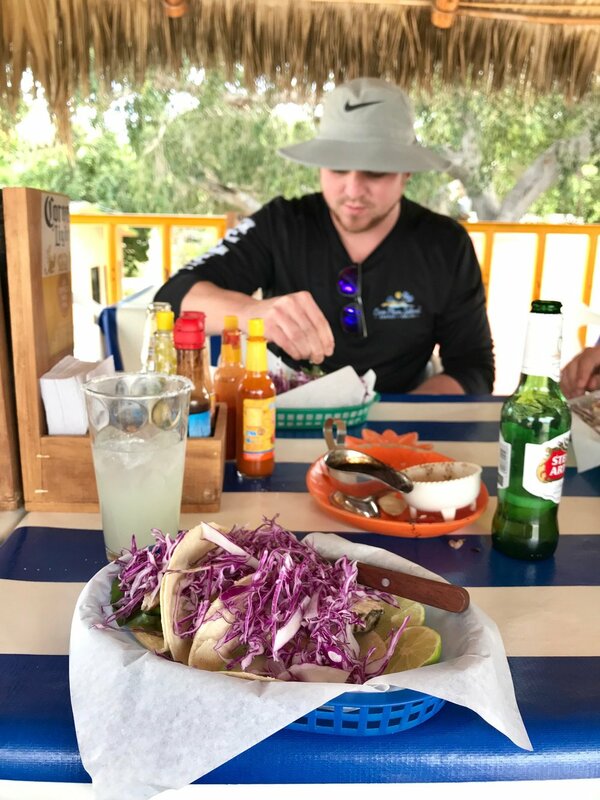 We had plans to have our catch prepared for us back at our resort that evening, but, after walking across the street to a little cantina called the Drunken Sailor for a celebratory margarita, we asked the man working if the restaurant would be willing to prepare our catch. 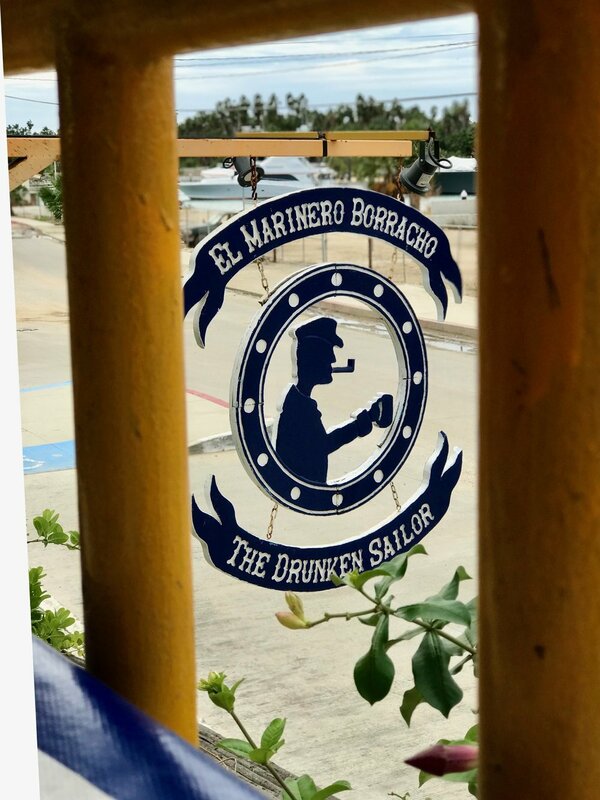 Together, our group of six sat on the rooftop patio of the Drunken Sailor sharing stories, drinking freshly squeezed lime margaritas and enjoying the fresh flavors and hospitality of Mexico—a combination that had everyone in our group hook, link and sinker.